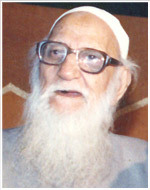 Hafiz Fahimuddin Ahmed Siddiqui Meeruthi was born in the city of Meerut, UP India in 1893. His father’s name was Hafiz Shamsuddin Ahmed Siddiqui. Professionally, he was a zamindar, the family was deeply in touch with religion. It was the only reason that Fahimuddin got the religious education from the famous Aalam-e-Deen Hafiz Badruddin of Deoband. He kept studying deeply the various religious thought of schools and once said: My school of thought is Allaah, Rasool and Quraan. In his life time, he completed 71 Shabinas during Ramadhaans. He also continued his English education from Faizam High School and college, Meerut and after the studies he joined the same college. Beside Urdu he was well versed in English, Persian and Arabic languages. He migrated to Pakistan after partition in 1948 along with his wife Amtul Rahman, seven sons Naseemuddin, Waseemuddin, Salimuddin, Zaimuddin, Qaseemuddin, Kaleemuddin, Jaseemuddin, and two daughters Ghufran and Furqan and got the long association with Cosmopolitan School, Karachi. In 1965, after retiring, he kept continued, the prayers from Tahajud to Tahajud, recitation of Quraan and studying tafseers. During this time he realized that Urdu translations are very difficult to understand. Urdu language with the words of Persian, Arabic, Hindi, Sanskrit and other Purbi languages which were beyond the understanding of the common man. All these translations of Quraan of India before partition were available in Pakistan with the translations in old Urdu. Moreover Urdu translations were written under the Quraanic text of Holy Quraan. This trend made a bit difficult when the translated words did not exactly fall under the Quraanic text. So realizing the need for a simple Urdu translation at the age of 89 years he came up with the idea of Aiyah to Aiyah separately facing each other, which may reach to a less educated person to understand Quraan. 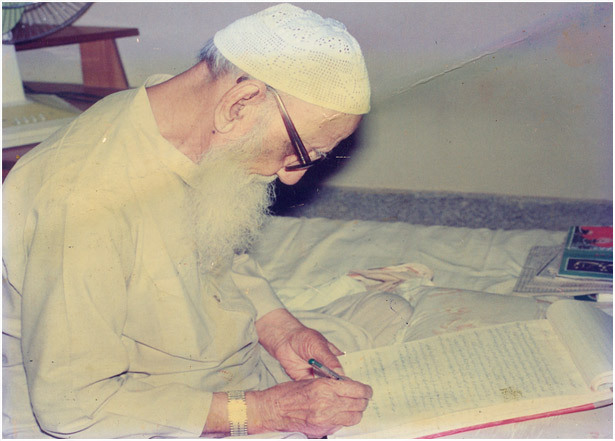 Hafiz Fahimuddin began the translation of Holy Quraan in Urdu in October 1982 and accomplished the gigantic task in June 1983, in only eight months duration without anyone’s support and assistance. After long illness, lasting four months he breathed his last on January 28, 1991. He was 98 and was laid to rest at P.E.C.H.S. graveyard near the grave of his wife Amtul Rahmaan who died in the month of Ramadhaan, Juma tul Wida in 1959. 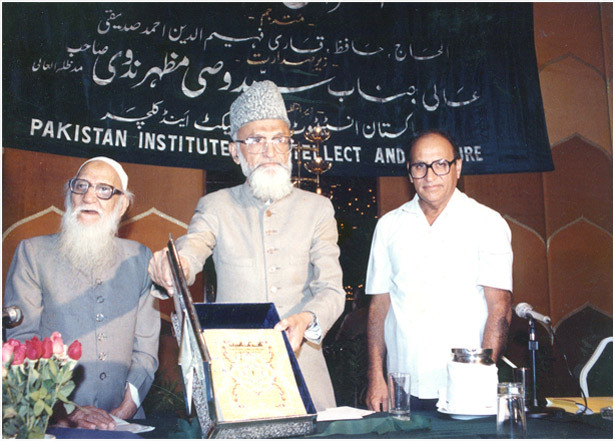 (Left) Late Hafiz Fahimuddin Siddiqui, Founder and Translator of Al Qu raa nul Mu biin in Urdu with Federal Minister of Religious Affairs Pakistan at launch function in 1986.